Home / Hosting Review / 6 Web Hosting Companies You Must Know About! 6 Web Hosting Companies You Must Know About! For anyone who has a website, it is important to know all the possible options that can improve their website’s performance, and a good web hosting company will help you do just that. You can get reliable hosting plans at official hostiserver.com site. Other than that, the following are six web hosting companies that you should know about. If you want a budget web hosting, then HostGator’s plans are perfect for you. There are no limits on disk space, subdomains, and email accounts. You also get a 99.9% uptime guarantee along with 24/7 customer support. Still, there are some limitations including the fact that you will not be getting a free domain name for a year, and will only be able to operate one website on the Hatchling plan. It is a good all-round service and is well-known, respected and trusted all around the globe. It is the biggest domain name registrar in the world and has tens of millions of domain names in its portfolio. Its cheapest web hosting package starts at $2.49/month when you sign up for a year. You will be offered free backup and restore, an uptime guarantee, unlimited storage along with unlimited bandwidth and a free domain. Bluehost is User-friendly yet powerful and has a Basic website builder included in its plans. It offers shared hosting from $2.99 monthly, and the WordPress plans start at $20 per month. You also get an automated setup for WordPress. There is also a cPanel-based area that allows expert users to tweak things. 1&1 web hosting offers an impressive range of services with the price starting from $0.99 per month, which rises to $8 after the first year. 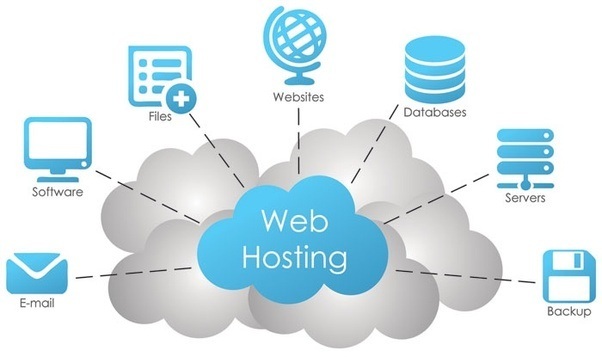 The host also provides some smart freebies like a free domain and unlimited storage with SSL certificates, free web design software, 24/7 email and phone support, a 30-day money-back guarantee, a graphics archive, and a 300Gbps network connectivity. The shared hosting plans start from just $3.99 per month. A good thing about this host is that it provides extra services in its plans that other hosting companies will charge you for, including malware and DDoS protection, and a system of primary backups. You will be provided with both Softaculous panels and cPanel with InMotion’s hosting. The firm’s overall performance levels are well above average, and that is why it is perfect for people who want to see fast-loading websites. Weebly gives you the option of a free plan. You will also get advertisements on your website so you will need to move up to a paid plan if you want to get rid of the ads. The Starter package has no storage limits, and you will be getting a free domain. Some of the plans will give you a lot of features that will allow you to build a high-end web store with support for customer reviews, coupons, and inventory management. The above-mentioned web hosting companies will boost your website’s performance to a large extent.